Can you feel the excitement? It all begins at the Hershey Lodge and Conference Center in the sweetest place in Pennsylvania. Mark your calendar for Sunday, 2-12-12 from 9 AM – 3 PM. The countdown to the Discovery Educator Network PreConference at PETE&C 2011 begins. A special thanks to Max Brooks, DEN Account Manager and PETE&C PreCon organizer, for the schedule of events. 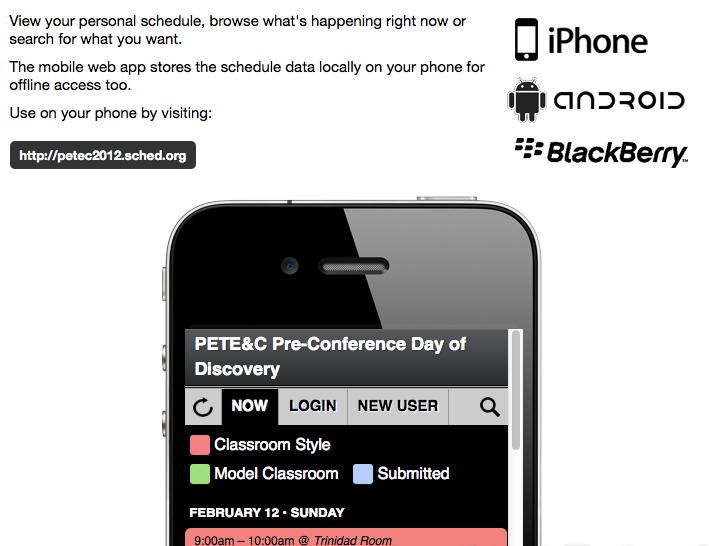 You can download the PreCon schedule to your iPhone, Android, or Blackberry by visiting http://petec2012.sched.org. You can also store the PreCon data on your computer for offline reference. Nice job, Max!